All New CD! 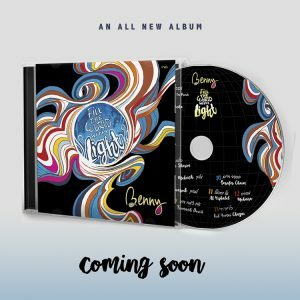 Benny – Fill The World With Light – Test Drive Promo & Album Art! Benny takes Fill The World With Light for a Test Drive! It’s been two years since Benny Friedman released Kol Haneshama Sheli, and the time has come for something brand new! 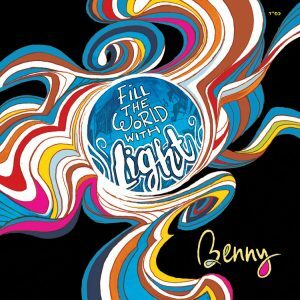 That something is Fill The World With Light, Benny’s 4th studio album. In the almost ten years since Benny rocketed on to the scene, and releasing hit after hit, from “Yesh Tikvah” to “Kad Yasvun”, from “Bum Bum” to “Toda”, Benny’s songs of hope and thanks have energized people throughout the world. This new album aims to keep that same winning formula with songs that feature original lyrics, strong topics and great rhythms that will leave you inspired and moved; songs of Jewish pride and Jewish prayer, great levels of joy as well as words that issue forth from a broken heart, and a very poignant, very thumping tribute to the great Shliach, Rabbi Yehoshua Binyomin (Josh) Gordon, OB”M. Fill The World With Light features songs composed by Yitzy Waldner, Yitzy Berry & Eli Klein, R’ Shlomo Yehuda Rechnitz, Ari Goldwag, Elimelech Blumstein, and for the first time on Benny’s CD, songs composed by Boruch Sholom Blesofsky, Elie Schwab and newcomer Moshe Shmeel Deutsch. And finally (drumroll please…) two songs by the great Yossi Green! The album includes arrangements by Ian Freitor, Eli Lishinsky, Tzvi Blumenfeld, Naftali Schnitzler, Mendy Hershkowitz, Yitzy Berry & Eli Klein and Udi Damari. Original lyrics by Miriam Israeli, Shmuel Marcus, Eli Schwab, Yitzy Berry and Eli Klein. The beautiful album cover features original artwork by world renowned artist Marc Lumer, and the jacket includes art by Yitzchok Moully, Yiddy Lebovitz and Sruly Meyer. Fill The World With Light was produced and directed by Sruly Meyer and is distributed in the diaspora by Mendy Werdyger of Aderet & Mostly Music, and in Israel by Shanky’s. The CD will be available in stores and online for download next week, B’ezrat Hashem. Pre-Order Fill The World With Light at MostlyMusic.com!